Parking at 101 Main St. Suite 116 is underneath the building. 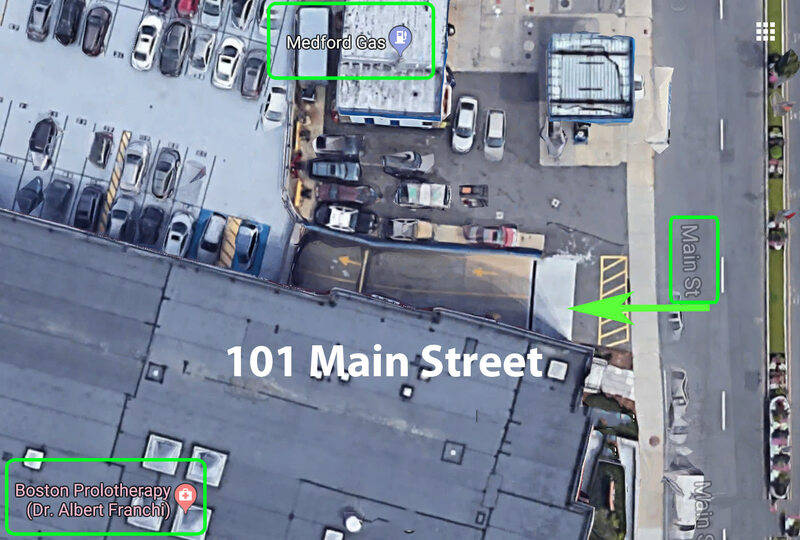 The entrance to the parking lot is between the Medford Gas station and our building at 101 Main St.
Make an immediate right after the Medford Gas station and go down into the parking garage. 1. Left on Emerson ST.
4. Right on Main St.
5. Immediate Right after the Medford Gas station into the parking garage under our building.